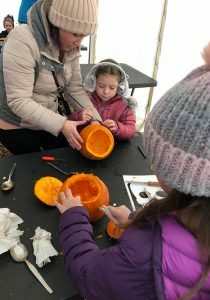 Walby Farm Park is once again helping children and their families celebrate Halloween this week with hundreds flocking to their pumpkin patch. The children’s attraction is at Crosby-on-Eden, just outside Carlisle, and is run by Neil Milbourn and his family. 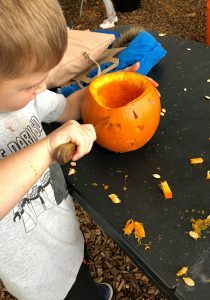 Every year they hold celebrations for Halloween during the October half-term holidays. 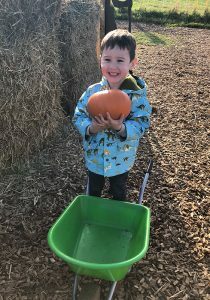 The children visit the pumpkin patch to pick their own pumpkin. 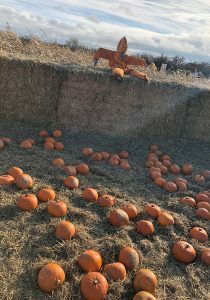 They can then visit the tented area where staff are on hand to help them carve spooky faces into their pumpkins. Throughout the day, there are themed shows and dramas taking place and many of their staff are dressed in scary outfits! 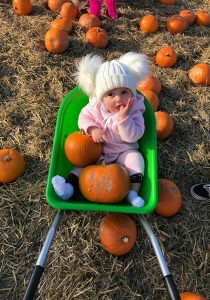 Walby Farm Park is a valued customer of ours and once again we supported the farm in sourcing all it needs to run the successful Halloween event. 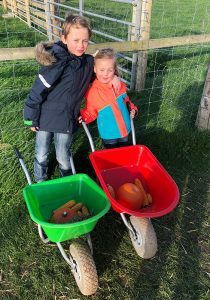 We visited the farm to take part in the fun and spooky frolics! This year’s event has been a major success so far, with visitor numbers higher than last year.